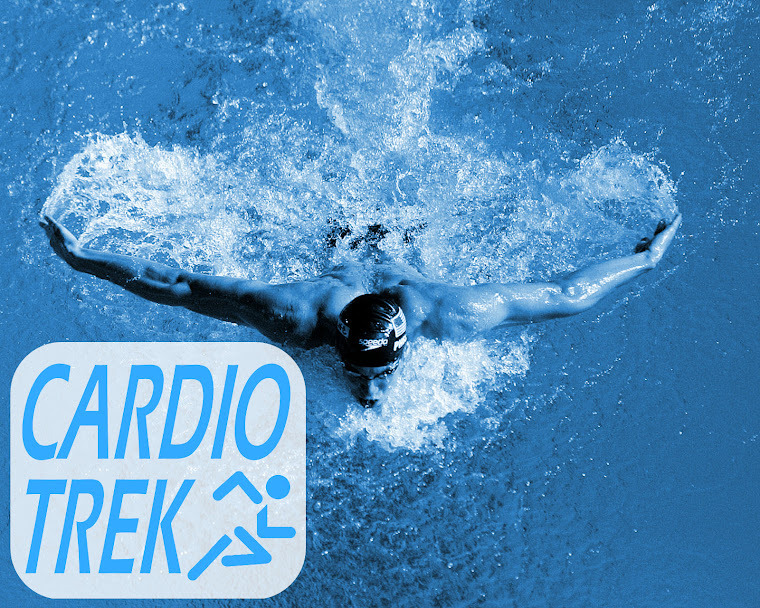 This web page represents a legal document that serves as our Terms of Service and it governs the legal terms of our website, http://www.cardiotrek.ca, sub-domains, and any associated services provided by Cardio Trek. Capitalized terms, unless otherwise defined, have the meaning specified within the Definitions section below. This Terms of Service along with any other posted guidelines within our Website, collectively “Legal Terms”, constitute the entire and only agreement between you and Cardio Trek, and supersede all other agreements, representations, warranties and understandings with respect to our Website, our Services and the subject matter contained herein. We may amend our Terms and Conditions / Legal Terms at any time without specific notice to you. The latest copies of our Legal Terms will be posted on our Website, and you should review all Legal Terms prior to using our Website or retaining our Services. After any revisions to our Legal Terms are posted, you agree to be bound to any such changes to them. Therefore, it is important for you to periodically review our Legal Terms to make sure you still agree to them. By using our Website or retaining our Services, you agree to fully comply with and be bound by our Legal Terms. Please review them carefully. If you do not accept our Legal Terms, do not access and use our Website or retain our Services. If you have already accessed our Website or retained our Services and do not accept our Legal Terms, you should immediately discontinue use of our Website or our Services. By scheduling a Session (or "Lesson") with a trainer you agree to fully comply with and be bound by our Legal Terms and understand that you are entering a contract with the Trainer who is to provide our Services. You are asked to pay special attention to the provisions related to Cancellations, Rescheduling and Missed Sessions. If you would like a PDF copy of these Terms of Service you can request one from the Trainer. These Terms and Conditions does not affect your statutory rights. The last update to our Terms of Service was posted on August 7, 2014. 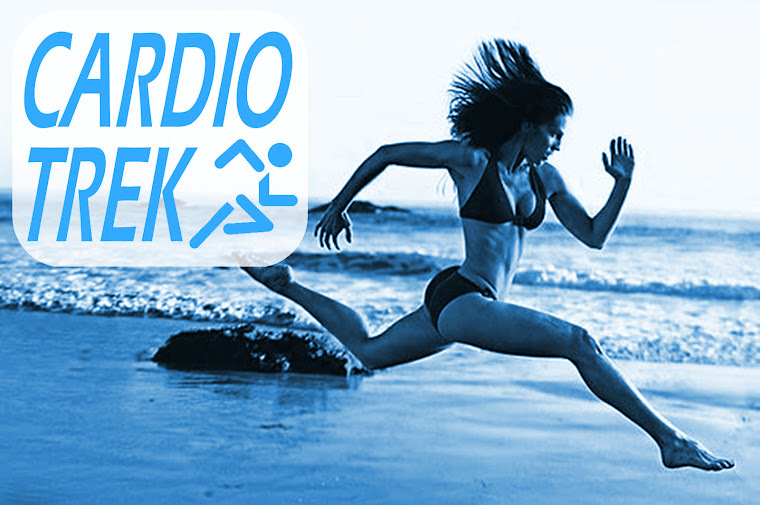 The terms “us” or “we” or “our” refers to Cardio Trek, the owner of the Website (CardioTrek.ca). A “Visitor” is someone who merely browses our Website, but has not retained our Services. A “Client”, “Customer” or “Student” is an individual (or parent or guardian of an individual) that has registered with us to use our Service. The "Trainer" or "Personal Trainer" is the person who delivers your training during any personal training Sessions (or "Lessons"). Our “Service” represents the collective functionality and features as offered through our Website to our Clients, and also to any Sessions (or "Lessons") retained as part of our Services. Sessions (or "Lessons") is any prearranged time and place wherein the Client has booked time for a personal training Session (or "Lesson") with the Trainer. A “User” is a collective identifier that refers to either a Visitor or a Client. You agree to comply with all applicable domestic and international laws, statutes, ordinances, and regulations regarding your use of our Website. Cardio Trek reserves the right to investigate complaints or reported violations of our Legal Terms and to take any action we deem appropriate, including but not limited to canceling your Sessions (or "Lessons") without refund, reporting any suspected unlawful activity to law enforcement officials, regulators, or other third parties and disclosing any information necessary or appropriate to such persons or entities relating to your profile, email addresses, usage history, posted materials, IP addresses and traffic information. You agree not to hold Cardio Trek liable or responsible for passing on your private information to law enforcement officials, regulators or other third parties. Our Website may contain our logos, service marks or trademarks as well as those of our affiliates or other companies, in the form of words, graphics, and logos. Your use of our Website does not constitute any right or license for you to use such service marks/trademarks, without the prior written permission of the corresponding service mark/trademark owner. Our Website is also protected under international copyright laws. The copying, redistribution, use or publication by Users of any portion of our Website is strictly prohibited. Your use of our Website does not grant you ownership rights of any kind in our Website. Our Website may contain links to third party websites. These links are provided solely as a convenience to you. By linking to these websites, we do not create or have an affiliation with, or sponsor such third party websites. The inclusion of links within our Website does not constitute any endorsement, guarantee, warranty, or recommendation of such third party websites. 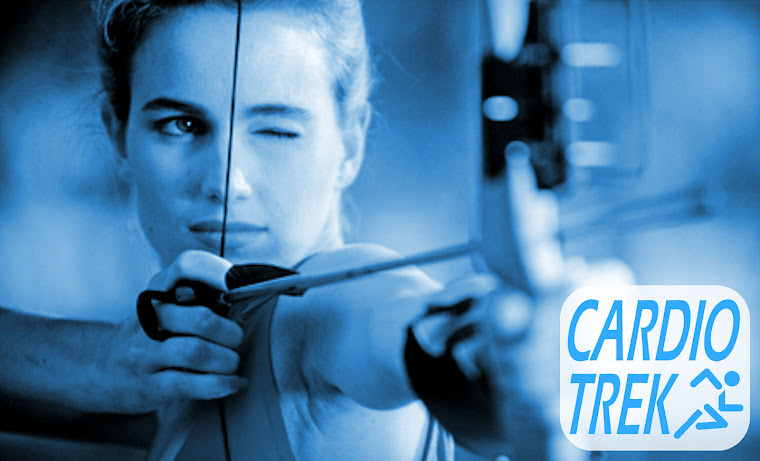 Cardio Trek has no control over the legal documents and privacy practices of third party websites; as such, you access any such third party websites at your own risk. You agree not to hold Cardio Trek or the Trainer responsible or liable for any injuries or illnesses sustained during the personal training Sessions (or "Lessons"). You also agree not to hold Cardio Trek liable for any injuries or illnesses sustained while en route to a Session (or "Lesson) or after leaving a Session (or "Lesson). You agree that whatever mode of transportation or route used to get to the location of the Session (or "Lesson) is at the personal risk of the Client and other person or persons traveling with the Client. Our Legal Terms shall be treated as though it were executed and performed in Ontario, Canada, and shall be governed by and construed in accordance with the laws of Ontario, Canada, without regard to conflict of law principles. In addition, you agree to submit to the personal jurisdiction and venue of such courts. Any cause of action by you with respect to our Website or our Services, must be instituted within one (1) year after the cause of action arose or be forever waived and barred. Should any part of our Legal Terms be held invalid or unenforceable, that portion shall be construed consistent with applicable law and the remaining portions shall remain in full force and effect. To the extent that any Content in our Website conflicts or is inconsistent with our Terms of Service / Legal Terms, our Terms of Service / Legal Terms shall take precedence. Our failure to enforce any provision of our Legal Terms shall not be deemed a waiver of such provision nor of the right to enforce such provision. The rights of Cardio Trek and our trainers under our Legal Terms shall survive the termination of our Legal Terms. Any PDF copy of these Terms of Service will be superseded by the Terms of Service available on our Website. No Refunds except under two special circumstances (detailed below). If you are not satisfied with the Sessions (or "Lessons") you receive you are under no obligation to continue. The first exception to Cardio Trek's "No Refunds" policy is if the Client has prepaid for Sessions (or "Lessons") and has a medical condition that prohibits physical activity associated with training and can prove they have a medical condition prior to the Sessions (or "Lessons"). A physician communication (via phone or email) is required in this situation. If the Client forgets or otherwise fails to communicate to the Trainer that they have a medical condition that would prevent them attending any Sessions (or "Lessons") prior to 24 hours notice to a Session (or "Lesson) then the Client agrees that any Session (or "Lesson") that were missed are forfeited and cannot be Refunded. Any remaining Sessions (or "Lessons") will be refunded, ignoring missed sessions wherein the Client failed to communicate their intention to cancel or reschedule. The second exception to Cardio Trek's "No Refunds" policy is if the trainer chooses to refund Sessions (or "Lessons") that were never scheduled. The trainer acts on their own prerogative as to whether the Sessions (or "Lessons") should be refunded on the basis that the Sessions (or "Lessons") were never scheduled (and likewise never took place). The trainer retains the right to withhold a portion of the full amount to cover any bank fees. Note - Gift Vouchers are not refundable for cash. If you are too busy to make use of a Gift Voucher, or otherwise unable to use a Gift Voucher, then it is recommended you give the voucher to someone else so they can use it. Please note the expiry date on the Gift Voucher Number. eg. If your Gift Voucher ends with APR15 then it expires on the last day of April 2015. The Trainer requires at least 24 hours prior notice if you want to reschedule any Sessions (or "Lessons"). This way the trainer knows to either not show up, and may even be able to make a last minute booking with someone else who is on the Trainer's "Waiting List". 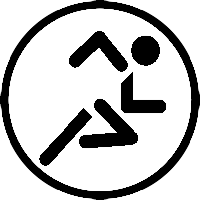 If you are ill or injured notify the Trainer as soon as possible that you will not be able to attend the session. The session will be rescheduled for another date. No doctor's note is required in this situation, the trainer will take you on your word that you are telling the truth. You agree to communicate such illness or injury to the Trainer prior to any Sessions (or "Lessons") you are unable to attend. You agree that any missed Sessions (or "Lessons") will be forfeited if you fail to show up at the lesson. You agree that the Trainer has the right to send you home early if they feel you are too sick or injured to be training during a Session (or "Lesson"). Your Session (or "Lesson") will be rescheduled accordingly. Outdoor sessions that are cancelled due to weather conditions will be rescheduled for another date. Trainer illness can also result in a cancelled session. The session will be rescheduled for another date. If you are late for your training session the trainer will count the amount of time spent waiting as part of your session. So be prompt and on time. If you are early the trainer may choose to start early if you are both ready to start. You are required to wear appropriate clothing and footwear and to arrive on time with appropriate clothing and footwear with you.